We believe no child should miss out on the opportunity to forge a lifelong Jewish connection. That’s why we have created the US Chesed Bursary Fund. 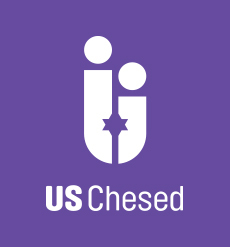 The role of the US Chesed Bursary Fund is simple. We don't want any child to miss out on a Tribe programme simply because his or her parents can't afford the cost. Costs are kept to a minimum, of course, but it is a fact that not all families can pay all, or even part, of the price. Applications to the Bursary Fund are received in confidence. Tribe programmes, such as Israel Tour and Learn 2 Lead, have a huge impact on our teenagers and provide a unique opportunity for young Jews to socialise and embrace their Jewish identity with pride. During the summer, Tribe also run residential camps for our younger members which are based across a number of US Communities. All Tribe programmes offer an array of exciting and inspiring activities in a safe Jewish environment. Each year we have a large number of bursary applications from people who really need our help in keeping their connection to the Jewish community. The US Chesed Bursary Fund, which is supported by US Futures, enables us to reach out to young Jews, whatever their economic circumstances, giving them positive experiences. For more information or to get in contact with us please email Michelle Minsky, Head of US Chesed, or call 020 8343 5688. If you would like to apply for a bursary please email us chesed@theus.org.uk and we will deal with your application in confidence. To donate to the Chesed Bursary Fund click here. If you want to get involved with US Futures, click here to find out more.